The Carbon Claw Granite GX-5 grappling training gloves ensure increased hand and wrist protection and a supportive fit thanks to inner and outer adjustment systems. To absorb impact shock, they offer a foam layer padding and the external striking area is produced from genuine leather for extra durability and strength. These lightweight and flexible gloves have a synthetic cross fibre material in the non-exposed area and with no thumb, they allow for a more natural grip. The gloves boast exposed palm area for proper ventilation and there is an anti-microbial moisture wicking fabric to prevent the growth of odour-causing bacteria. for submitting product information about Carbon Claw Granite GX-5 Grappling Training Gloves We aim to answer all questions within 2-3 days. for submitting product information about Carbon Claw Granite GX-5 Grappling Training Gloves. We aim to answer all questions within 2-3 days. If you provided your name and email address, we will email you as soon as the answer is published. 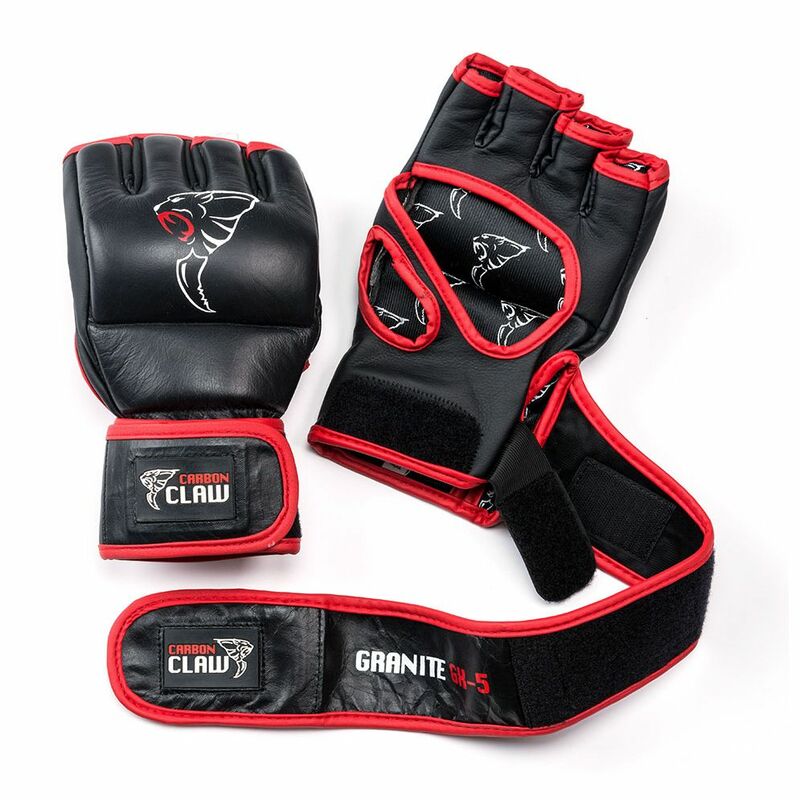 for submitting product review about Carbon Claw Granite GX-5 Grappling Training Gloves.